These Commonwealth gatherings mark Britain out as a quaint and bland place dominated for hundreds of years by a strange family. Its leaders huddle togeher in bemused subservience while Royals mumble patronising platitudes or casual racism. To be fair it’s what Britain does best: meaningless gatherings endlessly shuffling-about some incoherent vision of the future whilst quietly air-brushing our imperial past. This year though the Cabinet Office chose “Our Common Future” as the theme of the summit. If it’s anything like ‘our common past’ this will mean thousands of people being forcibly deported – shackled and restrained in planes leaving in the dead of night (‘7,600 deported to Commonwealth nations on ‘charter flights’ since 2010‘). But if you thought the Commonwealth was just innocuous organisation was just limping into obscurity, you’d be wrong. Boris & Co are busy aligning ‘Our Common Future’ with ‘Global Britain’ and something they’re calling ‘the Anglosphere’ – basically all the pink bits revived as a sort of global trading bloc. This zombie like re-animation is a cunning plan, but there are flaws. It’s true there must be a market for leg-irons out there somewhere, but the thing about these places is, by definition they’re quite far away. There’s an environmental cost to shipping goods to the other side of the world and a straight financial cost too, but who cares about that? What’s also not clear is whether the dignitaries sipping warm wine at Commonwealth receptions are the same people who’ll be negotiating trade deals? You suspect not. Despite the unreconstructed vision of the Commonwealth countries as some amorphous undeveloped subservient blob, many of them are likely to play hard-ball with a Mother Country with a poor hand to play. Nor are ‘we’ big and ‘they’ small. India, Pakistan, Nigeria and Bangladesh all dwarf Britain, while South Africa, Tanzania and Kenya aren’t far behind. Many face challenges that aren’t solved by buying British widgets or Pigs Ears. Tuvalu is drowning and that’s kind of got their focus right now. What are we going to sell them and why should they care? Sure many will be happy with a sideline in grinding out some loot in a Paradise Papers sort of a way, but sixteen of the fifty-four countries have a population smaller than Fife. Maybe I’m being too harsh? There is after all the Queen’s Canopy, an ambitious global programme to find meaning for Prince Harry by handing our plaques to Commonwealth Countries for not cutting down forests they’d never intended to cut down, thereby creating a suitable lasting testimony to all of this. If this project is exciting you, then you too can get involved. To mark the documentary ‘The Queen’s Green Planet’, the public are being invited to plant a tree as their own contribution to The Queen’s Commonwealth Canopy. Go here to join the Canopy. If it’s churlish to think that the Anglosphere will really replace or rival the EU as a trading bloc, what function does it serve? In these pre-Meaghan days, it still serves as global forum for British soft power, even if it is exercised as if by a cast from Wallace and Gromit. 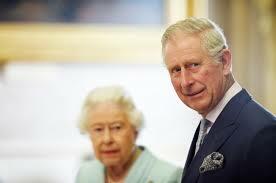 The Royal Family remains a symbol of the nation (Anglo-Britain) and a substitute for a democratic constitution. It is endlessly re-creating itself, here a Green Queen, there a Feminist Princess, here a Humanitarian Prince: Social Justice Warriors practicing Polo. The Commonwealth is their Live Aid. As Anthony Barnett has written: “The monarchy is a relationship: between the people and the Throne and between the Crown and a highly centralised state, to whom it provides a historic legitimacy”. It’s interesting to think how far the mistreatment of British subjects as in Windrush or mass deportation might affect that reality. But with a Royal Wedding around the corner, probably not at all. Having followed the link to the “Queen’s Commonwealth Canopy” website, and tried to view the ITV programme to find out what it’s about, I discover that it is not available in my country (Italy). So it’s probably not available in any of the Commonwealth either. But I guess it’s available for digestion in the UK; which pretty well sums up the importance of the Commonwealth. Perhaps it is not available in Italy as it is not part of the Commonwealth. If you are guessing it is not available in the Commonwealth i.e. you don’t know whether it is or it isn’t your comment in the worth of the Commonwealth can be taken for what it’s worth. I recall around the 2014 vote reading that should Scotland secure her freedom, entry to the common wealth could not be guaranteed. Today I read that Zimbabwe is being invited back in. I have no issue with Zimbabwe, been there a couple of times and made very welcome. Point is, this is typical of the juvinille appraoch the uk government takes towards Scotland! Me personally, come independence, I’d favour membership of EU over membership of a club designed to give the English royal family a role in life. An Independent Scotland in the Commonwealth. Now that’s a braw thought. Would we leave and then apply to get back in with Big Lugs long to reign over us when he comes up for his summer hols at the Big Hoose at Balmoral bedecked like something off a tin of shortbread. Well, bowing and scraping we did vote Better Together! Just listening to the BBC and right glad am I to hear that the heads of the Commonwealth have elected Chic Big Lugs as the next head of the Commonwealth. I wonder if Wee Nicola as elected First Minister was invited to the Windsor summit and voted in this election by world leaders. The Queen may soon be no more but God save the King. Makes you so proud. Poverty with pomp and circumstance. I encourage all Bella C readers to join in our collective cheer. How keen would the British estsblishment be on this organisation if say,the head of it was Jamaican or Indian? However, despite the anti-royal sentiments expressed here which I wholeheartedly support, I caught a breathless BBC presenter on Radio 4 this morning positively wetting herself that the sainted Kate had given birth. There was a radio link with an on-site correspondent and our by now hyper ventilating presenter suggested there must be a huge crowd of well wishers. Our man on the spot did have the decency to point out that “huge” was not a fair description. I took that to mean from a city of circa 10 million maybe a couple of dozen had turned up to gawp, slack jawed and dribbling, at nothing. The sooner we get rid of Britain’s biggest benefit scroungers and all they represent, the better.